You receive a total of 25 Acupuncture CEUs in California Approved Distance Learning Courses. 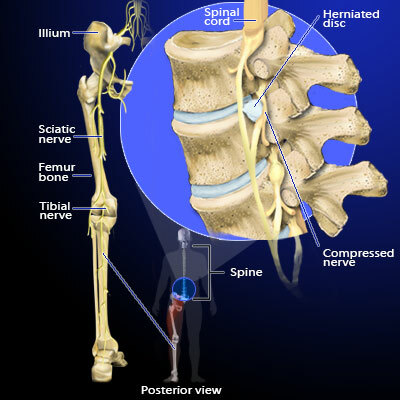 Do you want to increase your knowledge on Sciatica and low back pain, and how it presents itself in the body? For a great price, this class dives into all signs, symptoms, risk factors, and causes of sciatica. We also explain different conditions that are vital to be aware of that may present themselves as sciatic or low back pain. Are you curious to learn more about Western medicine treatments for sciatic pain? For a great price, this course dives into all you need to know about western medicine treatment options for sciatic pain. We talk about the ins and outs of topics such as physical therapy, trans-electric nerve stimulation, micro-discectomy, discectomy, laminectomy, and many others, including the pros and cons of each treatment. This class also discusses narcotics for pain management and the risk factors for their usage. Interesting research is also discussed on the effectiveness in treating sciatica with western medicine. Are you interested in learning more about research on acupuncture and TCM techniques for treating joint pain, back pain, and sciatica? For a great price, Sciatica Eastern Treatments discusses hot topics in oriental medicine with an added focus on diet and lifestyle change recommendations to reduce pain and inflammation. Truly a great class to brush up on your knowledge! What makes a successful practice? What do you achieve when you combine new technology, low overhead, numerous marketing options and excellent customer service? You get a successful acupuncture practice. This seminar is designed to: Reduce acupuncturist workload; Minimize overhead; Maximize marketing efforts; Improve doctor-patient relationships; and Business Investment. This course will ultimately teach you how to eliminate waste and maximize your investment.